The building’s general layout includes three parallel halls, a nave and two transepts, forming the structure of a classical basilica. 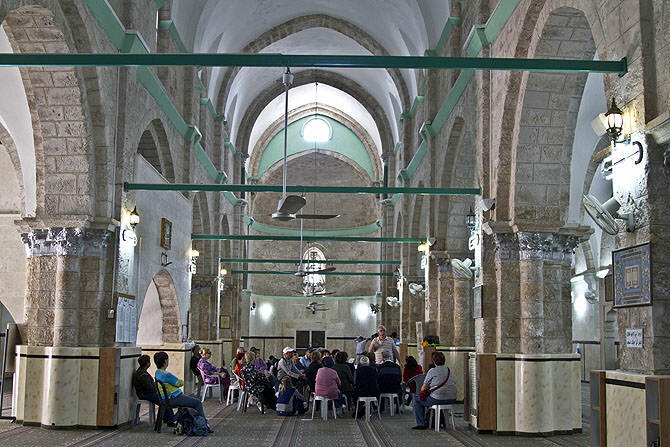 There are other mosques in the shape of basilicas but they are usually not this spacious. 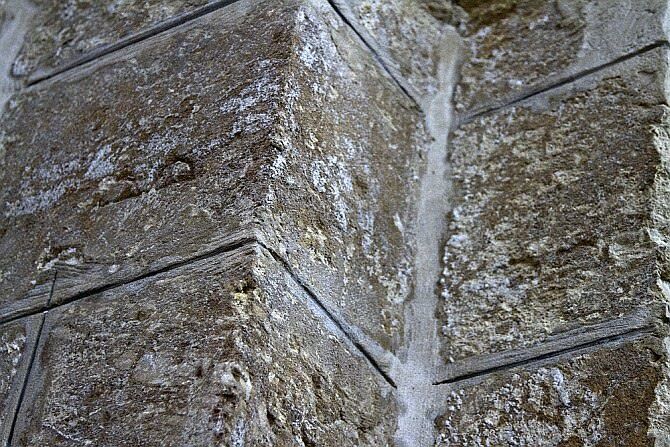 The mihrab, the prayer niche, points in the direction of Mecca yet in the eastern wall, there is another large niche – which in the past, was actually the apse of the former church, facing towards the east, to Nazareth. 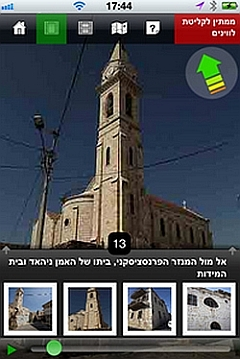 The mosque is also called the al Umari Mosque. 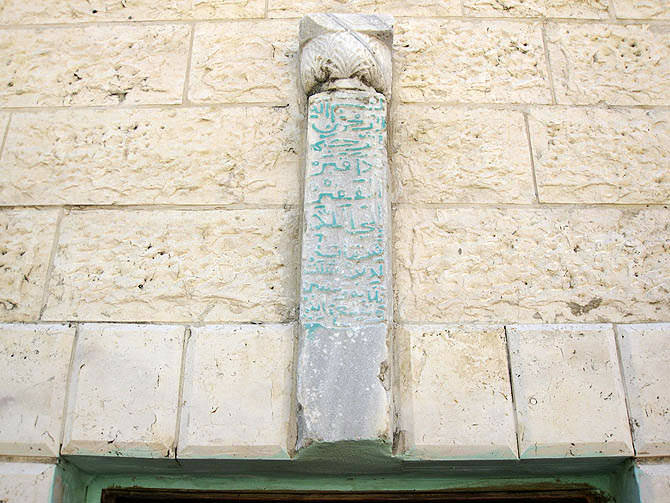 The term al Umari indicates that the mosque had been built with a different purpose and was later adapted to its new use. 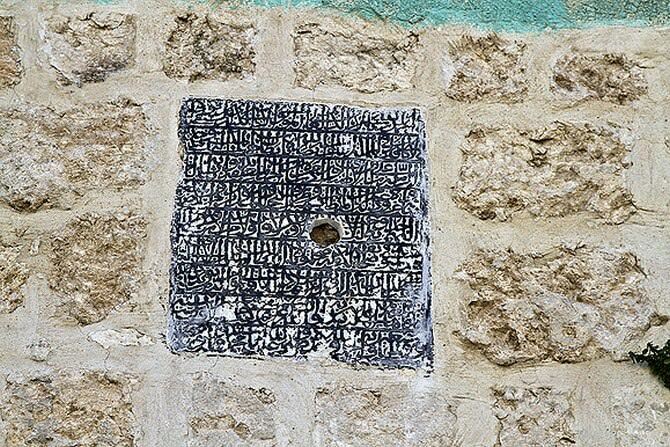 With the Mamluk occupation in 1266, the building was turned into a mosque and a minaret for the muezzin as well as a prayer niche were added. 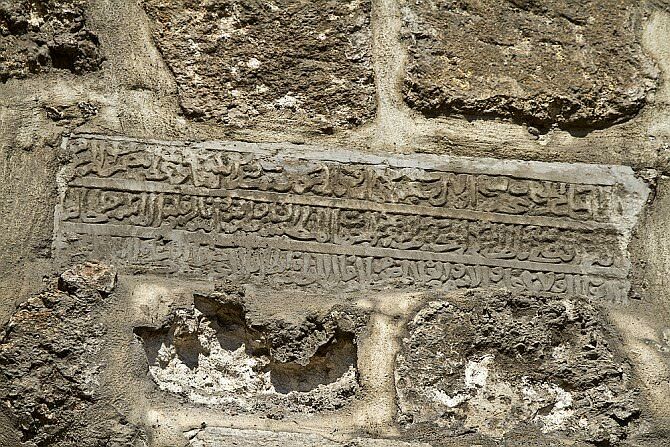 At the entrance to the mosque is an inscription with a quote from the Koran, Sura 9, section 18. 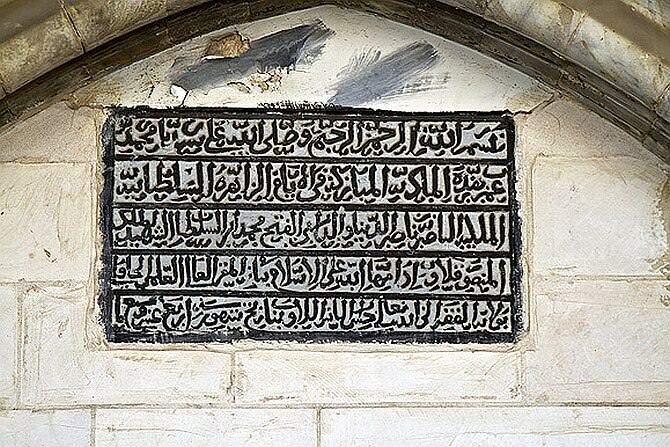 It also declares that Sultan Baybars erected the mosque in 1268 AD. Next to the mihrab is a pedestal called “minbar”, onto which the preacher climbs on Fridays and speaks of current issues. During prayers, the imam stands with his back to the praying public and sets the pace, while everyone prays by himself. 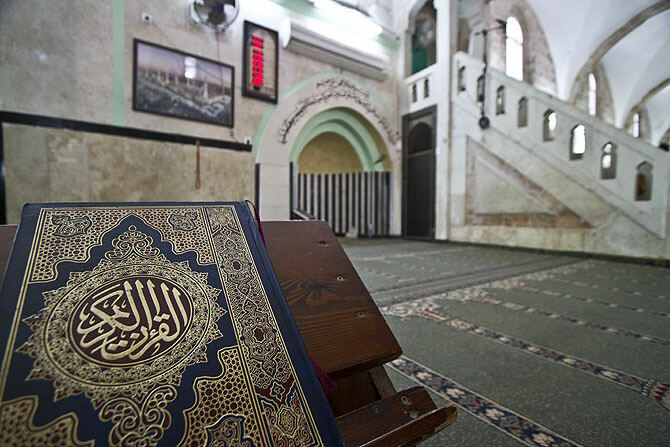 Islam only knows one form of worship, and that is personal prayer. There is no priesthood, and there are no sacrifices and in any case there is no cantor. 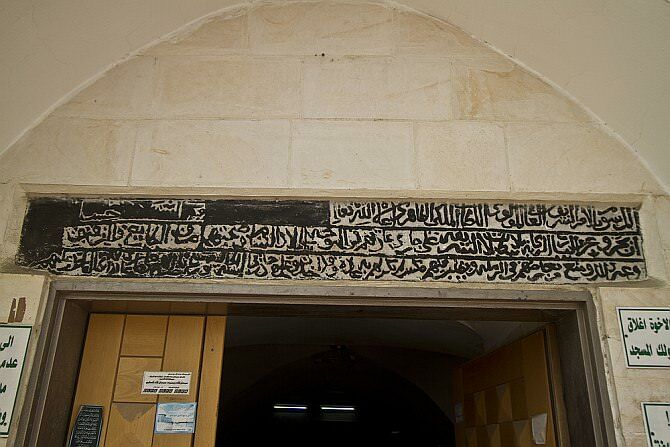 Left of the minbar is a time table, showing the times of daily prayer, their hour and date. In the back, there is a prayer gallery for the women. In Islam, women are exempt from mandatory times of prayer and thus, they have the right to come to the mosque but are not obliged to do so. Many do not come. With the exception of the mosque in Mecca, women pray separately from the men. On the floor, there’s a carpet, bearing positioning signs for each worshiper. Worshipers do not have permanent positions because this is against religious law which was issued that way so that rich and powerful people would not gain control over the places. Only the first row is the important one. In the courtyard, there is a purification facility which is meant to be used by the worshipers to cleanse themselves before prayer. Also a tower was added - the mosque’s minaret - onto which the muezzin climbs to call the faithful to prayer five times a day. 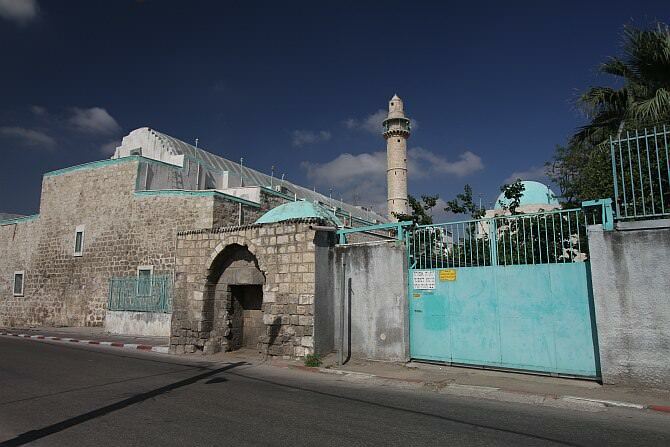 The courtyard of the mosque also houses the tomb of the local saint Shihav ed Din. 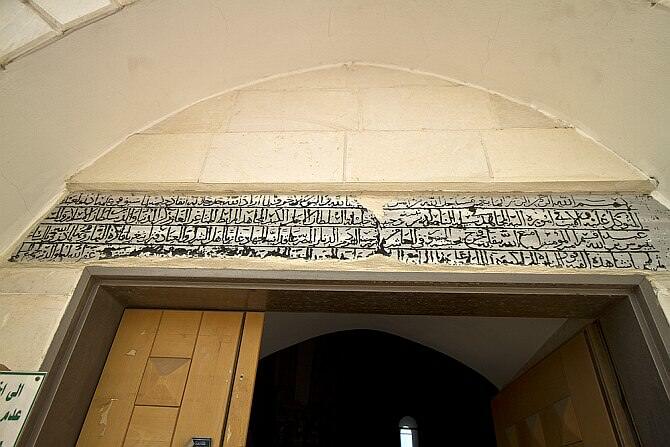 Dedication from 1298 AD on the renovation of the mosque during the time of the Mamluks, located on the left door frame at the entrance to the mosque.